Lumenera’s INFINITY USB 2.0 digital cameras offer 1.3 to 32 megapixel resolutions and are specifically designed for life science, clinical or industrial applications. With an intuitive user interface, every camera also includes software for advanced camera control, image processing, measuring and annotation. 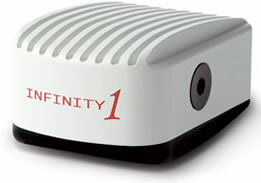 The INFINITY1 CMOS USB 2.0 cameras are designed to be a cost-effective, versatile solution for a variety of microscopy imaging applications. Features include auto white balance, full exposure control, programmable gain, sub-windowing and region of interest. An excellent fit for documentation and archiving applications. Equipped with a high-quality, Sony CCD sensor, INFINITY2 CCD USB 2.0 cameras offer excellent sensitivity, high dynamic range and a 12-bit digital output. Features include binning, auto white balance, full exposure control, programmable gain, sub-windowing and region of interest. 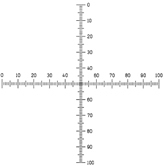 Ideal for higher-end scientific, medical, ophthalmic and life science applications. 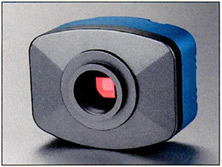 There are three types of Microtec digital colour camera available. They offer different resolutions. Each camera comes with a 0.5x C-mount adapter, with tube adapter to enable the adapter to fit eyepiece tubes 23mm, 30mm & 30.5mm diameter. 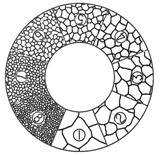 Alternatively the cameras can be fitted to the C-mount adapters offered by the microscope manufacturer. The resolution of the camera required depends on the size and quality required of the image. The following table gives a guide to the maximum size of image that can be obtained with the Microtec Digital Colour camera. 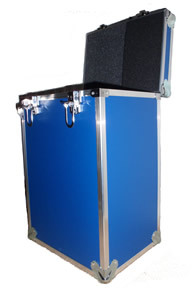 These custom designed flight cases are rigidly built with re-enforced edges and hinges, riveted throughout with a completely foam lined interior and two lockable latches these flight cases will protect your microscopes no matter where you take it. 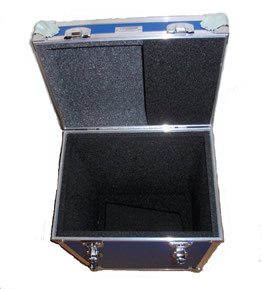 We have cases to suit all major microscope models and build cases to your specific needs. 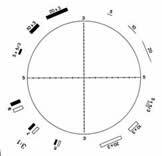 Optech Microscope Services works with the largest manufacturer that has the largest range of eyepiece reticle/graticule patterns of any manufacturer, most of which they have available from stock, and in sizes to fit all microscopes and magnifiers. If the pattern or size you require is not available then we can arrange a very cost effective custom-make facility. This also includes Walton & Beckett fiber counting graticules for the asbestos industry, HSE/NPL and UKAS Certificate test slides. Power supply failure within microscopes is one of the most common reasons for older models to be diagnosed as “beyond economical repair”. At Optech Microscopes Services we employ fully qualified electronic engineers not only capable of component level repair of microscope power supplies but also able to design custom made replacements. Should you have the requirement for a replacement internal/external power supply from now obsolete models, we can help prolong the life of your microscope with a custom made power supply alternative.